Twitter is my primary social media platform of choice these days. It’s also been a “home base” for Degrassi’s online community for years (as has Tumblr). Amidst its current woes, Twitter has announced it’s shutting down Vine as a cost-cutting measure. Personally, Vine was really enjoyable for a while; it was great watching these short-form videos and watching an entire crop of content creators become stars because of it. Degrassi never jumped on the Vine train, but over the years cast members have dabbled in it here and there. Back in 2013, with the launch of season 13 I had the idea to collect a bunch of Degrassi cast members’ Vines and create a series of “webisodes” with them. And so Degrassi Vine was born. There were bumpers (#WeAreDegrassi). There were end credits that mocked everyone. There were after-credit extras. There were commercials. It was stupid. All of it. And that was the point. Let’s watch a few of them. 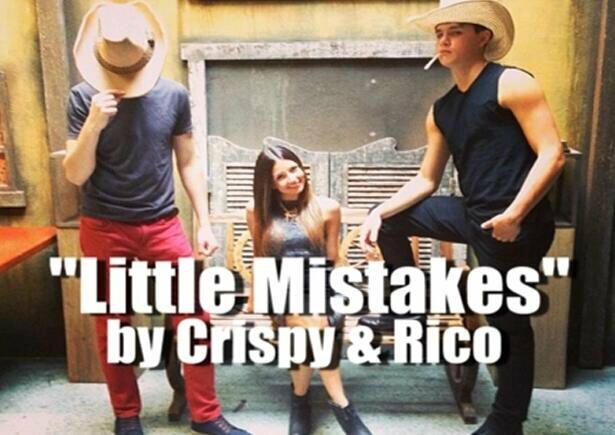 I don’t even know why any of this happened, but Crispy, Ricardo and Eric were messing around on the Little Miss Steaks set one day and created a mini “Wild West” drama. Lyle harassed Jimmy on set, and Jimmy snapped. R.I.P. Lyle? I won an award for this one (if by award you mean cast members replied and said they loved it). Cristine Prosperi is such a nice girl…why would anyone hate her?